A web based OOTP mod that allows you to build a fantasy league web site based on an OOTP baseball game. Check it out, let me know what you think! Your feedback is helpful and appreciated. Want to contribute? The source code is available on Github: https://www.github.com/jfox015/OOTP-Fantasy-Leagues. Last edited by ootpFox07; 02-23-2019 at 04:26 PM. You guys are going to want to check this out. 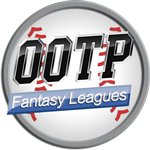 Members of the PEBA have had a chance to beta test DesertFox07's new OOTP fantasy utility, and I've got to say that it adds a whole new level of enjoyment to your league. It's literally a game within a game! A brilliant concept that's very well executed, and DesertFox07 has shown a commitment to working out bugs and adding feature enhancements. I'm greatly anticipating the first public version release on the 29th. It's an absolutely blast. Check for openings - contact us today! In the spirit of OOTP releases and the Road to Release (of which I acxtually got to writeon this year), I am writing three articles leading up to Wednesdays release. Toady is article the first: The Feature list. Check it out at the site. Last edited by ootpFox07; 02-23-2019 at 03:49 PM. It's Monday so it's time for the Road to 1.0 #2: Screen Grab Gallery. Even my faithful beta testers led by Corsairs will want to check these out as they contain some never before seen views into the admin and commissioner control panels. It's only a small sampling of all the views available, but more to tie everyone over until Wednesday. OOTP Fantasy League Road to 1.0: Screen Grab Gallery. Be sure to click the link beneath each image in the lightbox view to see the full size image (and get all the details). Tomorrow, the beta code will be released to the web, PadresFans OOTP mod site and Google Code. Last edited by ootpFox07; 02-23-2019 at 03:50 PM. BETA RELEASE 1.0 IS NOW AVAILABLE FOR DOWNLOAD. Grab your copy from the site now. Be sure to read the release notes and review the included Administrators guide to setting he mod up. Hope everyone enjoys the mod! The main ZIP file on the 1.0 Release page has been updated to 1.0.1 but in case you downloaded the mod before 12:45pm EST today, you can update your files using just a newly released patch file. Simply extract it and overwrite the files on your server with those included in this ZIP. Have you found a bug or a problem? Post it to the bugs forum or submit it to the official bug submission tool. Last edited by ootpFox07; 02-23-2019 at 03:51 PM. Great idea. Always thought it'd be fun to do this. Thanks for making it a reality. Last edited by ootpFox07; 02-23-2019 at 03:52 PM. Patch #2 is now available. It fixes several bugs and adds a number of new administrative features for game admins. Last edited by ootpFox07; 02-23-2019 at 03:53 PM. Version 1.0.3 is officially released! See the official release thread for all the details or head to the snazzy new downloads page to grab a copy. As always the fantastic support of the OOTP community is my main motivation for putting my time into this mod. Thanks so much and here's to hopefully some great OOTP fantasy leagues to come! Good news. A big update is on the way. Version 1.0.5 (formerly known as patch #4) is coming soon. The big hitting features in this release are trades and rotisserie scoring support. If anyone is interested in joining the beta sim season, sign up on the mod forum, PM me your username and I'll activate and add you to the beta test group. Several members of the PEBA are already signed up so come on in. Last edited by ootpFox07; 04-11-2011 at 02:51 PM. A new major feature release of OOTP Fantasy Leagues is coming this Monday July 18. Read about the development and testing of this release with the new blog post: Road To 1.0: Despite the quiet, development marches on. Last edited by ootpFox07; 02-23-2019 at 03:54 PM.